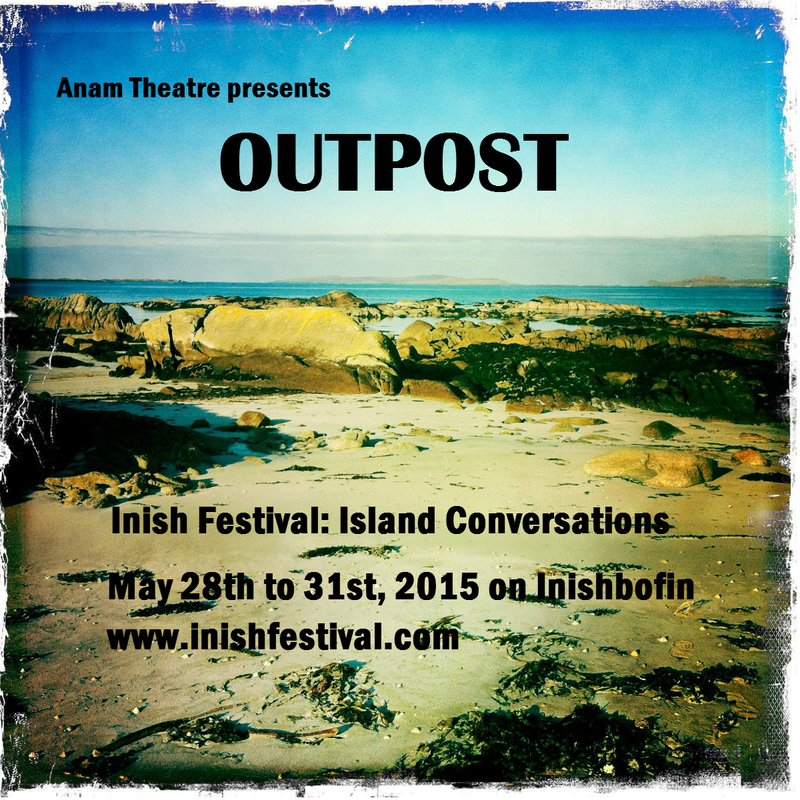 Anam Theatre are pleased to premiere Outpost, a new play by Sarah O’Toole, at Island Conversations, the inaugral Inish Festival taking place on the magical island of Inishbofin from 28th to 31st May, 2015. Weaving together myth, spectacle and histories of things that were and might have been, Outpost is an exploration of the periphery as a place where we can truly find a centre. This event takes place on Friday 29th May at 8pm in the Community Centre at Inishbofin. Anam is a Galway-based theatre company which was founded in 2009. We are lovers of great writing and have staged classic-style plays such as "The Yalta Game" and our own highly physical adaption of Pushkin's "Eugene Onegin" as well as modern classics such as Patrick Marber's "Closer". We are huge fans of the Michael Chekhov technique and are also very interested in work which explores the dynamic between actors and audience and have innovated our own interactive and uproariously entertaining poetry performance event called the "Literary Restaurant" which we have performed at Cúirt Literary Festival and Galway Theatre Festival. Our most recent production Clare McIntyre's "Low Level Panic" really struck a chord with its audience at the 2013 Galway Theatre Festival, with its courageous and comic exploration of contemporary feminist issues. It had a highly successful national tour in the Summer of 2014. Anam are currently preparing for the premiere of an original work, "Outpost" at the inaugral Inish Festival on the island of Inishbofin at the end of May 2015. Enter your email address to follow Anam and receive notifications of new posts by email. Days left to Opening Night! Opening night of our new production of Outpost.